Are you ready for an adventure in a galaxy far, far away? Well, then we just have one question for you. What’s an adventure without a Rebel Princess by your side? Not too much fun and actually more of a hassle than anything really. However, there is no need to worry. We have just the thing for you! 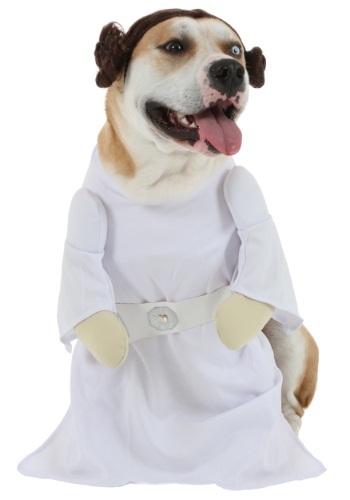 Check out this Princess Leia Dog Costume. Dress your adorable pooch up in these iconic duds and she’ll look just like a galactic hero. You’ll be ready to go out with rebel forces and tear down the rule of the Galactic Empire as long as you have your very own Princess Leia leading the way! 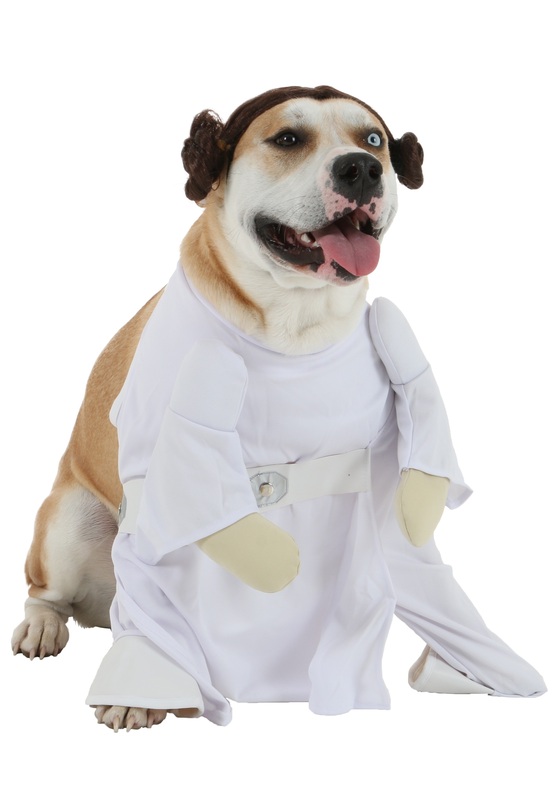 You can even dress up as any of the other heroes in Star Wars, such as Luke, Han, or Chewy when you walk around the block with your royal pup. Just remember, if you are suddenly ambushed by a bunch of Storm Troopers it will be your duty to protect the Princess! She is vital to the rebel forces defeating the Empire.